Brickell Flatiron is nearly complete, and estimates are that it will be delivered and finished by the end of the summer. 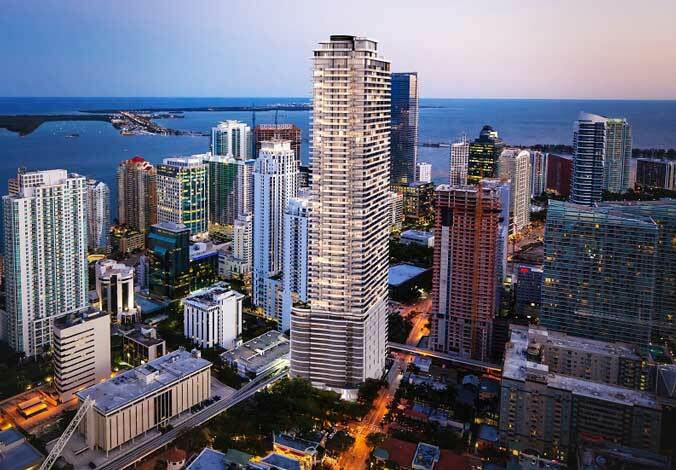 This is an impressive tower, which will be 736 feet high, making it one of the highest in the city of Miami. It has a beautiful exterior design, as well as quality interior features. The building will include some rather impressive amenities. Those who live at Brickell Flatiron will have access to a wine cellar, a billiard and cigar room, a spa, pool, and a gym. In order to help inspire even more sales, the developer has changed up the requirements for deposit. Typically, a buyer would have to put down 50% for a unit. However, they dropped it to just 30%. Additionally, in an effort to appeal to more domestic buyers, they have said that the project received conditional Fannie Mae approval. Thus far, sales have already been brisk. This is true even before the change to the deposit requirements. They had already sold 87% of the units in their 64-story building. In all, there are 527 units. There is only one penthouse left at this time, and the current asking price for that property is $8 million. 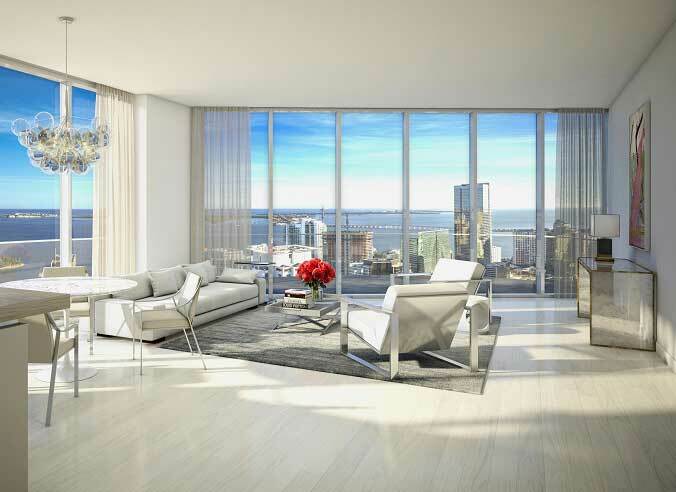 The typical range of prices for the units that are remaining at Brickell Flatiron are between $490,000 and $2.5 million. Many developers use the tactic of reducing the deposit requirements, even when they only have a few units left to sell. It helps to make more sales, and it can spur on those who might have still been sitting on the fence and considering whether they were going to buy. According to the developer, the buyers for the units are made of up quite a few local buyers. They are people who already have an older property in the area, and who are looking to relocate from other buildings that might be a bit older. In addition, they have seen a number of buyers from states that have higher taxes and who are looking for a better overall option. They also said that many of their buyers find them through their online advertising. That tends to be the case not only with real estate, but with many other types of purchases people are making today. Now that the deposit requirements have come down, it might be time that you threw your hat into the ring and chose a place to live at Brickell Flatiron.